CBC reporter Megan Batchelor received unwanted attention from a man who kissed her and took a selfie while she was doing a live hit for television — just the latest of many incidents over the past year where female Canadian journalists have been disrupted on air. CBC reporter Megan Batchelor received unwanted attention from a man who kissed her on the cheek and took a selfie while she was doing a live hit for Vancouver's supper-hour television newscast. 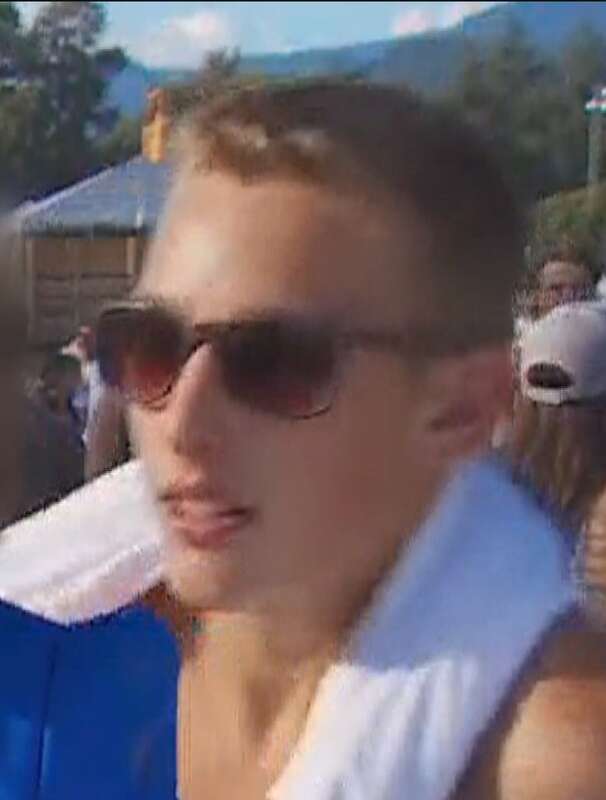 The unwelcome physical contact happened at the Squamish Valley Music Festival on Friday evening during the 6 p.m. newscast. Batchelor says the incident was rough on her. "As much as I'm not physically hurt, I'm rattled," she said. "I was just doing my job when this happened and I feel like he deliberately tried to interfere with my ability to do my job just for a laugh." Johnny Michel, CBC's senior managing director for British Columbia and Alberta, said the man's actions were inappropriate and should have never happened. "The safety of our employees is paramount. This kind of behaviour is completely unacceptable under any circumstance," Michel said. "It's become a disturbing trend that no one should have to endure." It is one of many incidents over the past year where female Canadian journalists have been disrupted on air. Earlier this year, Toronto's City News reporter Shauna Hunt confronted the men who shouted crude remarks into her microphone and defended it as part of a popular trend of harassing female reporters on air by yelling "f--k her right in the p---y." CBC reporter Charlsie Agro also filed a police report in Toronto after a man shouted the same notorious misogynistic slogan during a live broadcast of the Pan Am Games closing ceremony. CBC Ottawa reporter Ashley Burke was also verbally attacked with the same offensive remark in Montebello, Que. Batchelor said she appreciates the support she has received so far from the public and her colleagues, but she just wants people to stop abusing journalists. "This is a problem that is affecting too many of my colleagues," she said. "I get that reporting live comes with risks but I don't think one of them should be people who don't think how their actions affect other people. Their amusement shouldn't have to come at the expense of reporters."